At this year's anniversario, our staff joined the festivities donning costumes and performing! The anniversario was celebrated in October this year due to the return of Dr. Hou for the first time in 3 years after being affected by a health condition. She was enthusiastically welcomed back. 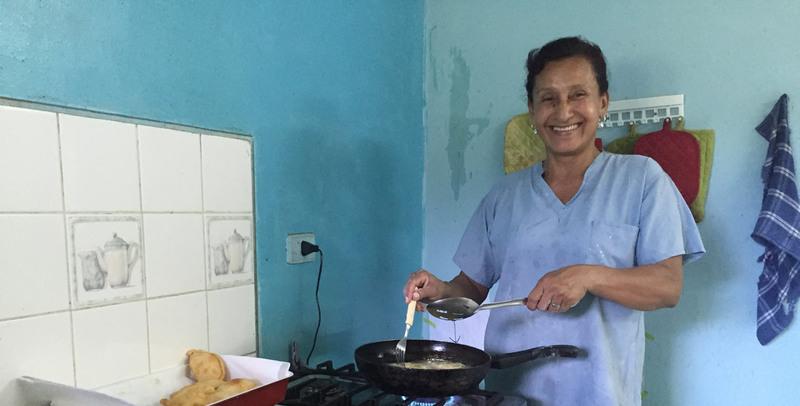 Selena is a local student who volunteers at the clinic as a nurses assistant. She takes vital signs, helps with EKGs and takes intake for patients when they come in. Our past volunteers have went on to medical school, they've written a children's book, and they remain an invaluable contribution to our team at the clinic. Students hold up their new toothbrushes. The clinic goes out to local schools to teach about oral hygiene and show appropriate tooth brushing techniques. Given the diet, lack of fluoride infused water in the countryside where the clinic is located, dental health is an important topic the clinic tackles in addition to providing regular dental care. Centro Medico Humberto Parra is a community medical clinic located in the rain forest in eastern Bolivia, 72 miles outside of Santa Cruz, the largest city in the country. Our goal is to improve the health and overall quality of life of the surrounding communities by providing first-rate medical care and other health services. It is the only free medical clinic in the surrounding 40,000 person area. The Daniels Hamant Foundation of River Forest, IL, run by Mark Molitch and Susan Hou, funds and helps manage Centro Medico. 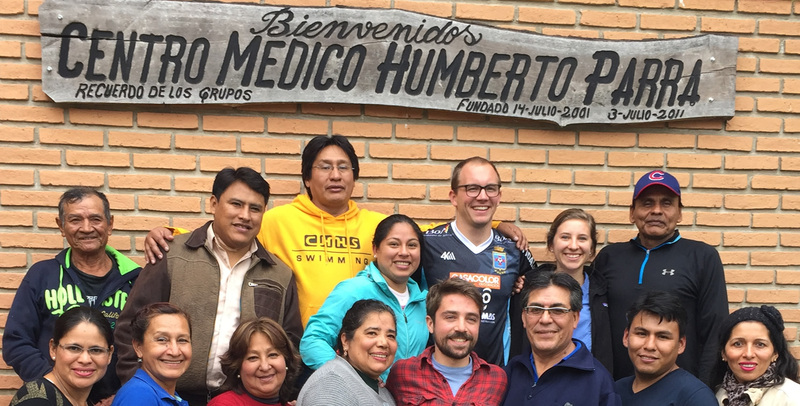 The Daniels Hamant Foundation relies exclusively on private donations, and the Centro Medico Humberto Parra is heavily dependent on volunteer physicians and healthcare workers from the US and Bolivia. Our Volunteers are the heart and sole of the clinic. Since 2001, we've had numerous medical students, residents, attending physicians, and general do-gooders come down to help us provide care to those in need. They have developed the countless programs that we use to provide care and are the energy that keeps us growing and improving. Patients are excited to receive their new reading glasses. Pepe bringing medications to town. Unfortunately CMHP had to say goodbye to one of our longest serving staff members and we wish her the best in her next steps. 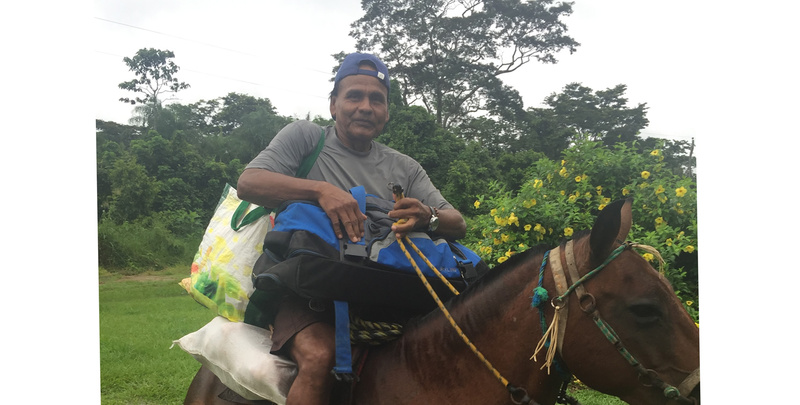 Guinda, your spirit guided the CMHP since 2005. You are a phenomenal nurse who brought joy to each day at work. Our patients, our staff, and our clinic truly benefited from each day you worked with us. You worked tirelessly since day one. 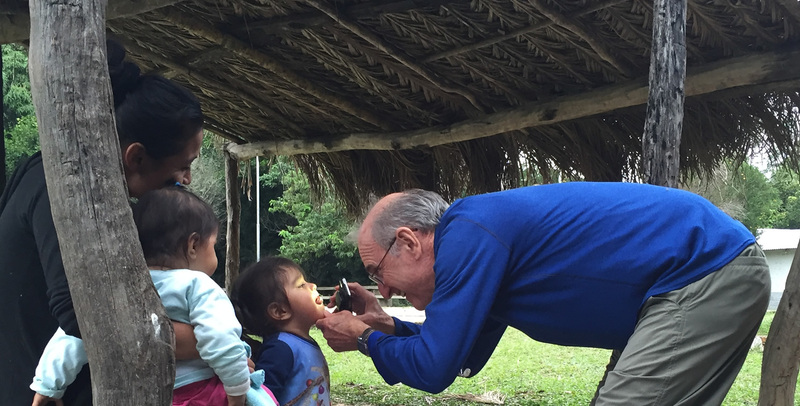 You were our guide to Yapacani when we first began seeing patients there. You spent your days away from the clinic seeing our patients out of your home. You were often the first to arrive and the last to leave. You are family and we will miss you dearly. We will see you at our yearly reunion. So many events over the last few months. We welcomed Mark Grant, our new Coordinator at the end of August. 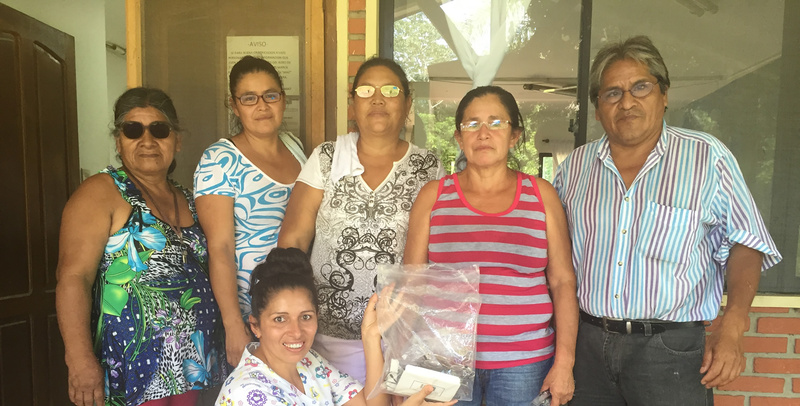 In September, we had a special visit from Dr. Douglas and some of the residents from Hospital Foianini in Santa Cruz. Physical therapist Cielo, from Santa Cruz, learned about the clinic, and since mid-September, has been coming twice a week to work with our patients. 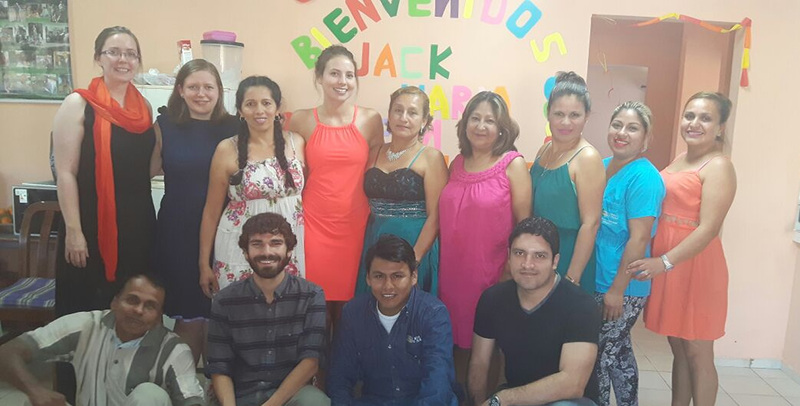 Sadly, September we also said goodbye to Jenna, who was the Clinic Coordinator since April of this year. During October, we had Dr. Jennah Lahood, a 3rd year family medicine resident at Northwestern, joined us as a volunteer at the clinic for the month. With her dedication and assistance, we completed the second round of deparasitation in 2017. We were able to distribute antiparasitic medication and toothbrushes to more than 250 children in and surrounding Palacios. October 14th was the clinic anniversary celebration. Patients from all areas served came to share food, dances, costume, and kind words. We were lucky to have Dr. John Ball with us during the festivities. 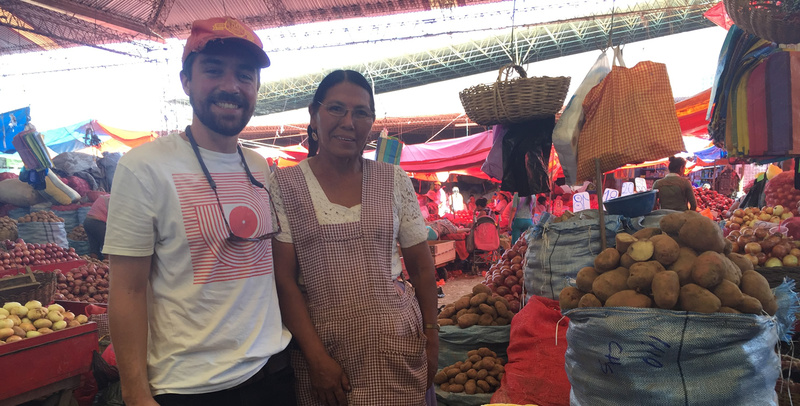 It was uplifting to see how the clinic has created a strong-knit community here in Bolivia and how it has become a beacon of hope and inspiration for many of our patients. August was a month of many exciting changes and initiatives at the clinic! Our volunteer Jessica Sullivan was here, an M4 from Northwestern. She helped us complete many paps and provided compassionate care. She along with coordinator Jenna, headed a health promoter training discussing stress, where it comes from and how to address it in a realistic way. 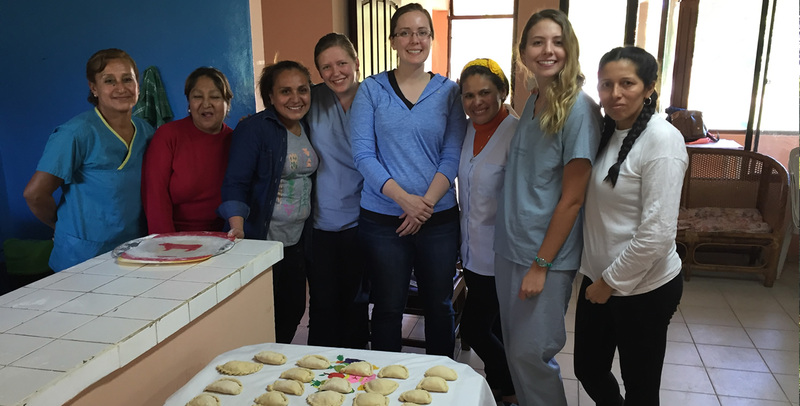 Employee bonding with Buena Vista for empanadas, painting nails in the laboratory, or discussing our motivations for working at the clinic. The highlight was most definitely the wonderful Friendship Day and welcome party! Felicidades a los campiones! The women’s futbol team of Centro Medico entered a soccer tournament and won! July was busy at CMHP! We had two Northwestern first-year medical students, Austin and Conor, each finishing their volunteer rotations here with many heartfelt connections and deep growth. They wrapped up over a home-made meal prepared by Mumi. We are excited for next month when we will have TWO new coordinators! On October 22nd, 2016, a sunny Saturday morning, we were delighted to celebrate the 16th Aniversario of Centro Médico Humberto Parra. Originally founded on July 14th, 2001, this clinic is the realization of the dreams and hard work of Dr. Susan Hou, Dr. Douglas Villarroel, and Dr. Mark Molitch. Community members dedicated their time, hearts, and talents to celebrate 15 years working in partnership with North American doctors, medical and nursing students, volunteers, and of course the Molitch-Hou family. The service to others demonstrated by community members in preparation for the day’s celebration was a testament to the example of service to others and to community begun by Drs. Hou, Villarroel, and Molitch in 2001. 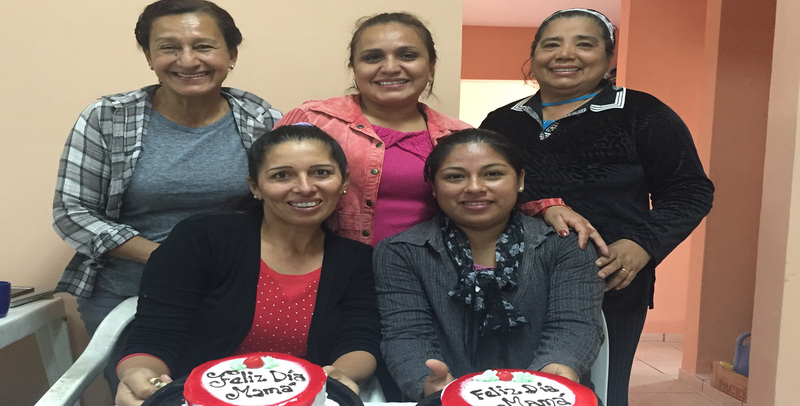 The celebration of the clinic’s Aniversario began with many thanks and well-wishes to the North American partners who were celebrating from afar, and continued with a brief history of the clinic. Current clinic coordinators and representatives from the office of Dr. Douglas Villaroel thanked the many people who make patient care at Centro Médico Humberto Parra possible. Among these outstanding individuals include the clinic staff, group leaders, and promotoras de salud. Community members shared well-prepared traditional dances, recited poems, and sang songs. 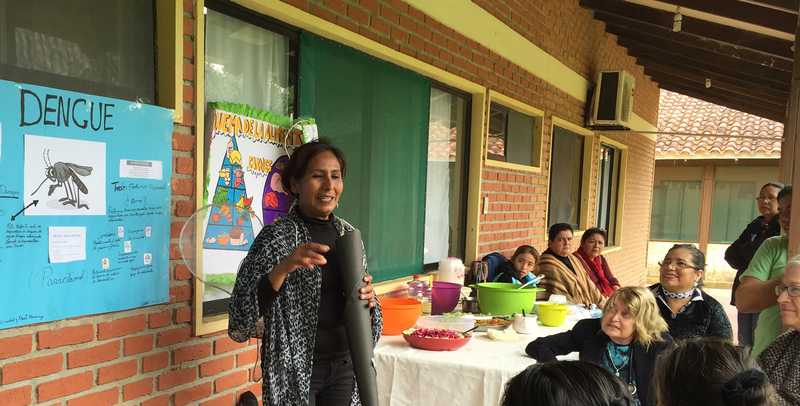 The Promotoras de salud prepared a drama with an important message speaking out against domestic violence, which was both engaging and educational. Each community brought healthy versions of traditional recipes to share and beautiful handmade crafts. With full hearts and stomachs, the celebration of the 16th Aniversario of Centro Médico Humberto Parra concluded with many embraces and smiles. We would like to thank all the members of the communities served by CMHP who participated in this celebration, and to express our sincere gratitude for being part of such an inspiring group of individuals who dedicate their lives to improving the health of others. At the 10 year anniversary, Centro Medico Humberto Parra, Mark Molitch and Susan Hou were featured in the Chicago Tribune in an article by Dawn Turner Trice. 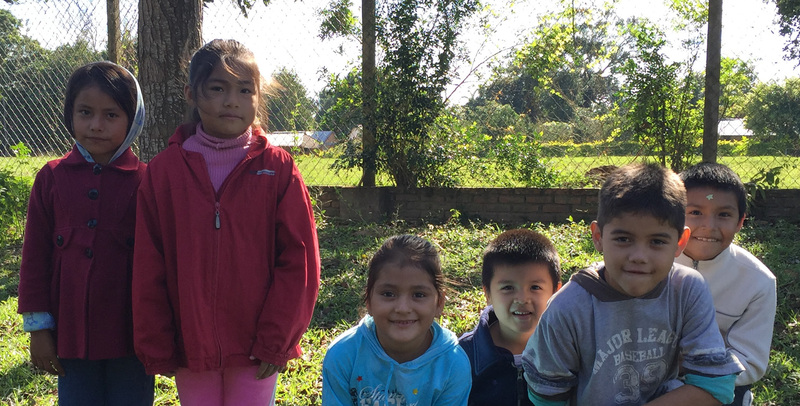 "Centro Medico Humberto Parra is a free clinic founded by two Chicago doctors on land in the rainforest of Bolivia that is exotic yet unforgiving. Monkeys play in towering trees that are so lush they block sunlight. But torrential rains can turn roads to mush, rendering them impassable. And poverty in the area is so intractable that many people make less than $3 a day and can't afford health care." Sign up for Goodshop and place Centro Medico Humberto Parra as the charity that you support. If you download the Goodshop app, you can shop using your phone or iPad and every purchase you make, will earn money for the clinic.